The value of a comprehensive home inspection will far exceed the cost. You deserve the most accurate, thorough and professional Home Inspection your hard earned money can buy! Book your Home Integrity Inspection with Ed Day today! A professional San Diego home inspection can give you peace of mind and confidence as you make one of the most significant investments in life. For more than 30 years Home Inspector Ed Day has served the San Diego area as a General Contractor, Construction Inspector and Real Estate Home Inspector. Ed has wealth of knowledge about homes from the interior to the exterior and beyond that enables him to better, more thoroughly, and accurately assess your investment. Home Inspector Ed understands that the need to have a home inspected can occur on a moments notice. Inspector Ed is available 7 days a week and can usually schedule an inspection at your convenience. 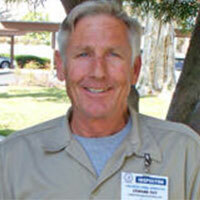 Since 2008, Home Inspector Ed Day has established himself amongst the community as a reputable professional. And to ensure that you’re getting the best service possible, he is CREIA certified. He’s also been “A+” Rated with the BBB since 2009! CREIA Certified San Diego Inspector? Why use a CREIA Certified (California Real Estate Inspection Association) Inspector? CREIA inspectors carry general liability and errors and omissions insurance. CREIA inspectors are trained and certified as Home Inspectors by CREIA approved organizations. CREIA inspectors must pass the CREIA inspectors exam before becoming a CCI (Certified CREIA Inspector). CREIA inspectors are required to receive ongoing continuing education pertaining to the changing of building codes, health and safety issues, technological advances in building materials and components and much more. We also learn about older homes and materials, the issues and the defects. As a CREIA-certified inspector, I am committed to ongoing & continuing education throughout each year. CREIA inspectors learn about newer construction technologies as well as the materials and components found in older homes. We also keep up with building code changes and revisions. Find Out More About CREIA. At the best value around, Single Family Home inspections starting at $325 for up to 1,200 sq.ft. Don't forget, you're pool or spa is important too. Call Me today and request a quote. Are you busy working during the week? My goal is to accommodate your schedule! I am available 7 days a week and can usually schedule an inspection at your convenience. © Copyright 2019 All Rights Reserved. Home Integrity Inspections San Diego.